Neighbourhood shopping centres hotly contested by the investors, superannuation funds and syndicators with north Ipswich property achieving a 7.25 per cent yield. National wholesale property syndicator and developer, Primewest has purchased Brassall Shopping Centre in north Ipswich for $29.8 million, reflecting a yield of 7.25 per cent. 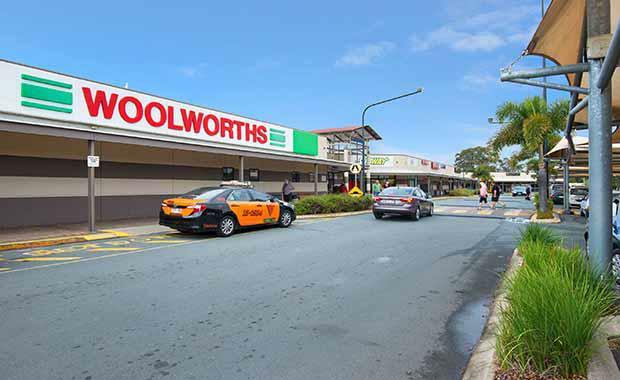 The neighbourhood shopping centre which has two strong performing national tenants, Woolworths and Supa IGA was marketed by Stewart Gilchrist and Stephen Kidd from Colliers International in the expressions of interest campaign. Primewest director, John Bond, said Brassall Shopping Centre was purchased as part of the company’s $100 million retail property trust that focused on acquiring convenience-based shopping centres in several states. “Primewest has spent more than 15 years building one of Australia’s most successful wholesale property syndication operations and has always maintained a strong retail presence throughout Australia,” Mr Bond said. Mr Bond said that the trust was now fully invested and attention would now turn to enhancing the assets. In addition to Woolworths and Supa IGA, the centre also comprises one mini major, 32 specialties plus a freestanding KFC and a childcare centre. Mr Gilchrist said there is an abundance of capital in the market currently looking to buy shopping centres that present a quality investment, such as the Brassall Shopping Centre. Brassall Shopping Centre is strategically positioned at 64-68 Hunter Street in north Ipswich, within the fastest growing city in Queensland, where the retail spend is predicted to grow at an annual 5.7 per cent over the next 11 years. The population is expected to grow by 4.6 per cent over the next 25 years, more than twice Queensland’s average. Three major schools, including Ipswich State High, surround the centre. At Brassall Shopping Centre, national tenants represent 74 per cent of gross rental income and 60 per cent of the total gross leasable area. Major lease expiries are well separated with Woolworth’s initial expiry due in 2028 and IGA’s 20 year lease due to expire in 2017. IGA’s lease provides further option terms of ten plus five years, potentially extending the lease to 2032. Brassall Shopping Centre was redeveloped in 1998 to incorporate a fully enclosed and air-conditioned mall with the Woolworths internal refurbishment completed in 2010. The site area spans 4.1 hectares and includes 578 car parks, many of which are undercover. Complementary retailers include Subway, Bendigo Bank, Australia Post, Pharmacy, News, Queensland Credit Union, Ipswich City Council, Liquorland, QML, Crossroads, Cameraland – Kodak Express, 6 ATMs, Millers plus freestanding KFC and a childcare centre.